We’re really excited to be stocking a range of Red Paddle Co. Stand Up Paddleboards this summer. Stand Up Paddleboards (SUPs) are the perfect way to get out on Ireland’s waterways with your friends and family. Red is easily one of the most recognizable names in SUP, and for good reason. The inflatables from Red are ultra light, ultra durable, and super easy to use! Picture this: It’s the weekend. You’re at the train station wheeling your Red Paddle Co. inflatable board behind you and you’re ready to disappear. If you catch the 8:00am you can be on the water for 10, exploring hidden parts of Ireland’s coastline. Think surfing meets kayaking. You stand on a SUP, with a long paddle and row yourself through the water. Simple enough? Because it is. 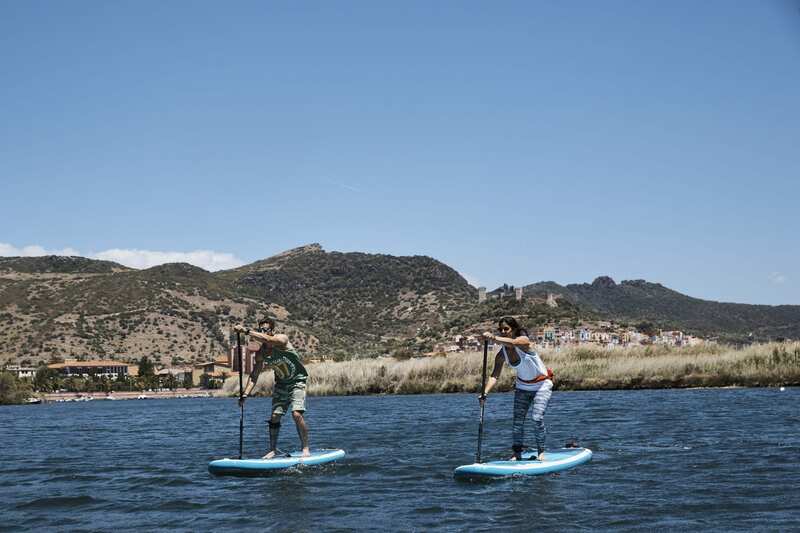 If you’re learning to SUP an inflatable board is going to make things much easier for you, they are softer so if you have a crash they’ll be much more forgiving. And if you aren’t so sure about this standing business, there is no shame in riding a SUP on your knees. First timers can learn more about how to SUP on Red Paddles SUP Tuition Page here. The rolling SUP bag comes with a board, a pump, a paddle, fins, repair kit, and a leash. Red’s boards packed away are airline luggage compatible, not sporting equipment sized, just checked luggage! 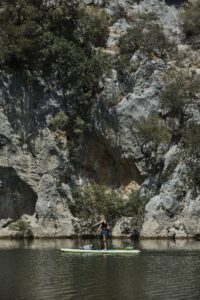 (SUPing in Spain, anyone?) The heaviest kit we stock weighs less than 17kg and is great to chuck in the boot of your car for a weekend on the coast, or check with an airline for your next week away. What kind of SUPs can you get? Easy there… Before we talk SUP’s let’s talk Paddles. All the SUP’s that we stock come with 3 paddle options. You can start with a classic 3 piece alloy nylon paddle, lightweight, versatile, and really all you need. But if you’re looking for even lighter weight for longer days out, the Carbon 50 Alloy is for you, it’s only half carbon so you keep your costs down but you lose a lot of weight. The creme de la creme is the 100 Carbon Paddle, even lighter still and sensitive enough to give you a great feel for the water. Ok, but what kind of SUPs can you get? The classic Red SUP is the 10’6 Ride (available in standard Blue, or a Special Edition Purple). It’s speedy and stable, with a really easy to balance shape. The Ride is a fusion between a surf SUP and a touring SUP. The next step is the 10’8 Ride, for bigger paddlers or someone who needs a bit more buoyancy (maybe if you’ve got your little one tagging along?). Lighter paddlers may find it a bit more difficult to turn on this board. Coming out of the Ride range we’re stocking the 11’3 Sport. This one is faster, and more buoyant. Designed for longer days and bigger paddlers. This is a proper touring board. If you plan on putting in more distance, this is your fit. Our biggest board is the 12’6 Voyager. It’s big, stiff, and stable for long distances and changing conditions. Lash your gear to the nose in a deck bag and take this out on a long day that might even last into the next. All of our Red range come with lashpoints and tie downs so you can bring along extra kit, like a waterproof deck bag with anything from your lunch to your tent. Come in and have a chat with us about which board might suit your needs, or get in touch about a board you think you’d like to order in. We’ll see you on the water!